Discussion in 'Norton Commando Motorcycles (Classic)' started by MexicoMike, Feb 11, 2019. I've gone through every ad and brochure I can find and have not seen a Commando of any year in British Racing Green. Was that ever a factory color option? I saw lots of 'sort of' British Racing Green fastbacks; have never seen a Roadster or Interstate with factory BRG paint. More scholarly people will likely chime in. Not my image but this may shed some light. The 1968 Commando which had a fastback but was not called that was the first year with BRG as an option ? I have a mate who had a '72 disc braked Combat Fastback in British Racing Green back in the day. I’ve often wondered if the romantically titled ‘British Racing Green’ would be half as popular if it was just called dark green...? MexicoMike and Changaroo like this. Probably not, but it does look good on a friends piece of "old shite" though. MexicoMike and Dommie Nator like this. Thanks for the color chart - I hadn't seen that one. 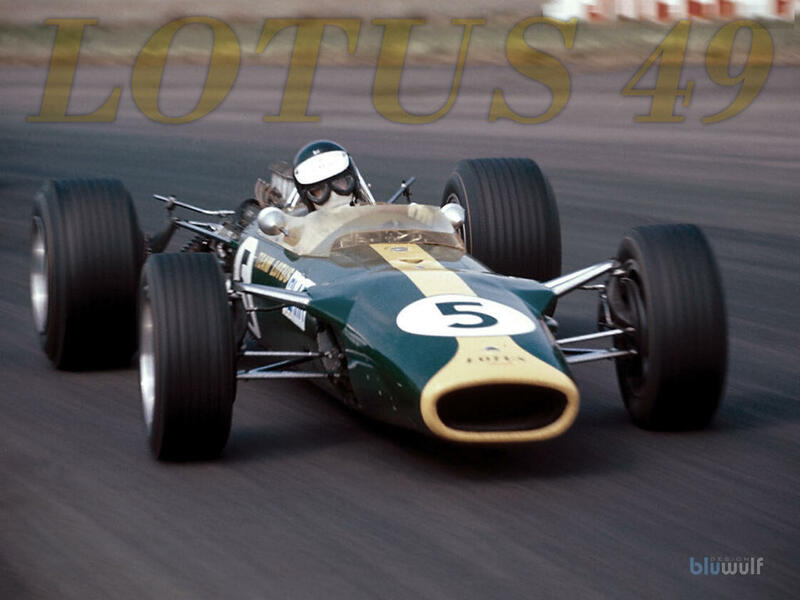 So BRG...aka Dark Green ... WAS a factory color - at least in '71. Now I don't feel bad about my BRG 1973 850 Fastback, converted from it's original(?) black Roadster configuration. I purchased the fiberglass tank/side covers from Burton Bike Bits in '08 and the options were BRG, yellow, and unpainted. I went with BRG even though I would have preferred yellow because a good friend who lived less than a block from me here in Mexico had (has) a yellow CNW Fastback and I figured that the only two Norton Commandos known in this area shouldn't be the same model/color. The BRG is getting a bit faded so I'm thinking of repainting it. Trying to decide whether to keep it BRG or go to something else. Interestingly, my friend is thinking of having his yellow bike repainted as well. If he chooses to leave the yellow behind, I might do the yellow! I don't think I've ever seen Emerald Green Fireflake on anything. I have a question about BRG. Is it a particular shade of dark green or is it just a dark green? I was led to believe it was a particular shade of really really dark green. Thanks Bernhard, as you said interesting. Now the question is "how accurate is my monitor colors?" Whiterabbit, NPeteN and MexicoMike like this. Val Doonican has a lot to answer for but he may have got it right with this one. It's in one of the sales brochures...I believe '71 on a roadster. 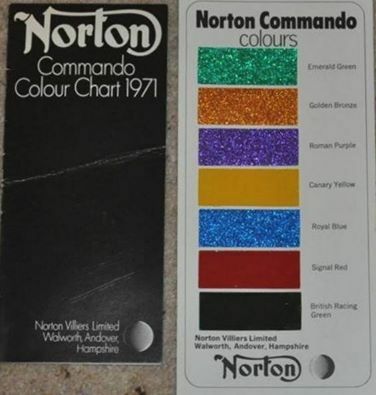 I saw an emerald green Commando along with all the colors and models at the Norton booth at a motorcycle show in Syracuse NY, around 1970, 1971. I must have been 15 or 16. The green I saw looked a bit lighter and less bright than what shows on the above sample card.